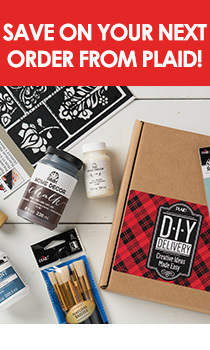 Can I use magazine, gift wrap or book pages with Mod Podge? Yes, however you need to check to make sure that the ink will not smear. Test a small piece before starting your Mod Podge project. You can also add additional protection, by spraying the front and back of these papers with an acrylic sealer such as Mod Podge Clear Acrylic Spray, and let dry. Be sure to test the sealer first on the paper you want to use before continuing with Mod Podge. Will Mod Podge ® seal dried fruit and keep it flexible? To preserve fruit: 1) Cut fruit into very thin slices. 2) Dry fruit with flower dry, silica gel, or Decorative Fruit Saver by Activa. Use product label instructions. Decorative Fruit Saver will insure a flexible fruit slice so that it can be fashioned into roses or other effects. 3) Seal fruit slices with Mod Podge ® and allow to dry. Mod Podge will insure a safe seal to ward off insects and, at the same time, keep slices flexible. How do I prepare paper napkins and tissue paper for appliqué? Use small, sharp scissors for cutting out the napkin or paper designs. Cut away any inside areas you don’t want. Hold the scissors stationary while turning the napkin or paper for a clean-edge cut. Trimming is easier when you cut through all three layers of the napkin or paper. Remove the two white layers after cutting out the design. Tearing: Tearing can be a good choice for some designs because is creates a more handmade or natural look. It’s perfect for children and others who cannot or do not want to cut out the designs. For best results, cut all three layers and then separate. How do I prepare my surface for Mod Podge®? Be sure the surface is clean and dry. Sand with sandpaper, if necessary, and remove dust with a tack cloth. Be sure the paint is thoroughly dry first. Crackled surfaces should be cured for at least two days before applying Mod Podge®. How do I apply paper napkins to surfaces? Cut the design out of the Napkin and separate the layers. ; you want to use only the top layer of the Napkin. Using the Glue Brush, apply a coat of Mod Podge® Gloss, Matte or Sparkle Finish to the surface area where the Napkin will be applied. Let dry slightly – until it’s slightly sticky – then place the Napkin on the surface and press it down gently with your fingertips. The Napkin should not become wet. (If it does, you applied too much Mod Podge; apply a lighter coat next time.) Let dry. To finish, apply a second coat of Mod Podge® and apply it beginning in the middle and gently brushing out to the edges. Alternately, you may apply Mod Podge® to the area and let it dry completely (to speed up drying, you may use a hairdryer set on low). Then place the Napkin onto the surface in the desired position. Cover the Napkin with a piece of parchment paper and iron (on the cotton setting) to adhere the Napkin to the surface. Allow the parchment paper to cool and then remove. The Mod Podge® will melt and adhere the image to the surface. The advantage of this technique is that you can move the image until you iron it down. Also, the Napkin will not tear or show bubbles, and it will be completely flat like the surface it is on. Again, finish with a coat of Mod Podge® on top. How do I apply paper inside glass or acrylic? Apply a coat of Mod Podge® to the inside of the form and allow to dry slightly. Place the Napkin design where desired and gently rub it flat with your thumb. Cover the image with a second very thin coat of Mod Podge®, beginning in the center and brushing out. Allow to dry thoroughly. Add special sponging or spouncing effects, as desired, around the design and let dry. Paint the whole inside with a light color of FolkArt® Acrylic Colors. If you want to use a darker color inside, first paint around the Napkin design with a light color, let dry and then add the darker color. How do I use Outdoor Mod Podge with Napkins? A light background works best. If you have a surface that is fairly dark, basecoat it first with your choice of FolkArt Outdoor Acrylics. Cut the design out of the Napkin, separate the layers and discard the two bottom white layers. Using the Glue Brush, apply a coat of Outdoor Mod Podge® over the design, allowing 15 – 30 minutes between coats. Let project dry inside at least 3 – 7 days before placing outdoors. NOTE:Reapplication of Outdoor Mod Podge very several months will help preserve your project. When applying paper to clay pots, how can I prevent water from leaking through? Basecoat the inside of the pot with FolkArt Ourdoor Acrylics or Apple Barrel Gloss and coat in outdoor sealer to prevent water from leaking through. How do I prepare my fabric for using Fabric Mod Podge® on it? You must pre-wash, dry and iron the fabric. DO NOT use fabric softener. If using a t-shirt or a thin fabric, place a piece of wax paper inside directly under where you will be decoupaging your design. How do I wash my project that’s decorated with Fabric Mod Podge? The project is machine washable in cold water on the gentle cycle or by hand after 72 hours, and line dry. However, Fabric Mod Podge® will hold up best on decorative items that don’t have to be washed often. How do I apply Napkins to fabric with Fabric Mod Podge®? Cut the design out of the Napkin and discard the layers. Place Napkin upside down on a piece of parchment or wax paper. Apply Fabric Mod Podge® to the back of the design. Place the Napkin and paper face-up on the fabric where desired, and press firmly but gently to the surface with your fingertips. Remove the paper carefully and press the design firmly again. Apply a second coat of Fabric Mod Podge® with the Textile Brush, working into the Napkin with a gentle, swirling motion. Clean the brush often when the ink of the Napkin bleeds. Wash in cold water by hand or gentle cycle. Dry flat or line dry. Can I burn my decoupaged candles? Candles with decoupaged designs are decorative and should not be burned. Your designs can be destroyed if the candle is burned. In addition, while both Mod Podge and Royal Coat are not flammable, items used with these glues may be. However, there is a trick if you want to "burn" your decorated candle. Burn the decorated candle until a small well is formed -- a well about the size of a votive candle. Place a small piece of aluminum foil in the bottom of the well. Then place the votive candle in the well and burn it. Replace the votive candle as needed. How do I get rid of surface bubbles when working with Mod Podge? Remember, do NOT shake the jar of Mod Podge - this will create more bubbles. If bubbles appear when applying Mod Podge, load your brush with a medium amount of the glue. When brushing out the Mod Podge, do not brush with a fast motion. This could whip bubbles on the surface of your project. If there are bubbles you can take a pin and pop them and then lightly brush over. How do I prevent my paper from warping and bubbling after I apply Mod Podge? Some papers such as gift wrap and magazine cutouts will warp and bubble after applying Mod Podge. To minimize the warping, spray the front and back of these papers with an acrylic sealer such as Mod Podge Acrylic Sealer, and let dry. Be sure to test the sealer first on the paper you want to use before continuing with the project. Apply Mod Podge to the back of the paper or to the project surface and press the paper firmly to the surface, let dry completely. (Do NOT apply a top coat until the paper has dried completely to the surface.) Let it set for about 5 minutes, then recheck your project to see if there are any more bubbles. If there are, press it down again. If the paper still doesn't lay down, take a straight pin to release air under the paper and press smooth. If a bubble is found after the project is dried, pop the bubble with a straight pin. Then fill a small bottle with Mod Podge and fill into pin hole with a small amount of Mod Podge. Remove and press area down. Re-check area to see if the bubble has returned. If so, apply a little more Mod Podge and repress. Do I need to seal my ink-jet printouts before applying Mod Podge? Yes, you will need to seal your ink-jet print with a matte acrylic sealer such as Mod Podge Acrylic Sealer, before using Mod Podge. Spray a very light coat, let dry and spray again. How long does it take my Mod Podge project to cure? With a medium coat of Mod Podge, the project should cure in about 2 to 3 weeks. Allow for longer curing times if applying more or thicker coats. Is my Mod Podge outdoor project water-proof? Outdoor Mod Podge is water resistant and is most durable when used on projects that are in a sheltered area. How many coats of Mod Podge should I use? You can use two or more coats depending on the type of affect you are trying to achieve. If you want a soft smooth surface with no ridges, apply at least 5 to 6 coats. After I apply Mod Podge to my cup or plate, can I still use it? Mod Podge covered items are basically for decorative use and Mod Podge should be used for dry items only. However, if you place a paper doily on your decoupaged surface before placing the food, you can serve from your project. What do I do if my dried Mod Podge project turns cloudy? If your Mod Podge project is cloudy, it means that there is moisture present. Just let project continue to dry and it will look clear again. How do I decoupage with napkins or tissue paper? First check to see if the napkin is 2 ply. If so, separate and lay aside. Brush Mod Podge directly on the your surface. Carefully place the printed napkin on the surface and lightly blot down with a dampened sponge. Start blotting in the center and work to the edge. Once it is in place, let dry. After about 30 minutes lightly apply a top coat of Mod Podge. Can I use photographs with Mod Podge? We do not recommend using original photographs. Have a color copy made with a dry toner copier before applying Mod Podge. What kind of projects is Mod Podge Hard Coat good for creating? Mod Podge Hard Coat is great to use for projects that will be handled frequently or those in a high traffic area. How do I create an ultra smooth finish with Mod Podge Hard Coat? For an ultra smooth surface, apply 4 to 5 coats of Mod Podge Hard Coat. When applying the coats, brush in one direction then the other and let dry between coats. Wet sand with #400 sandpaper and water. Sand finish lightly until ridges are flat and smooth. Wipe dry. If desired add an additional coat of Hard Coat Mod Podge. Can my Mod Podge-coated surface be washed? No, just lightly wipe Mod Podge projects with a dampened, lint-free rag. How do I care for my finished Mod Podge project? Lightly wipe your Mod Podge project with a dampened, lint-free rag. Is Mod Podge safe for my kids to craft with? Yes, Mod Podge is non-toxic and safe for kids to use. Can I wash my fabric Mod Podge projects? Yes, we suggest that you wait 72 hours and then wash in a mild soap such as Ivory Snow and line dry. Do not use a heavy detergent or Woolite. Items may be handwashed as well. How do I use Mod Podge Puzzle Saver? Complete puzzle. Next, place puzzle design side-up on non-cling plastic wrap. Brush a medium coat of Mod Podge Puzzle Saver over the completed puzzle and let dry. Apply a second coat and allow to dry completely. Once the puzzle has completely dried, flip the sealed puzzle over when completely dry and position it design side down on new piece of non-cling plastic wrap. Apply a medium coat of Puzzle Saver over the back of the puzzle and let dry. Now sealed, the puzzle can be mounted to a display surface using Mod Podge Puzzle Saver. If desired, apply a couple light applications of Mod Podge Spray Clear Acrylic Sealer to seal puzzle pieces completely and remove any stickiness due to humidity. Note: Mod Podge Puzzle Saver was designed for use on commercially-printed cardboard puzzles only. It is not recommended for use on 3D puzzles, handmade wooden puzzles with transferred images, puzzles customized using personal photos, or special effect puzzles. What does "Acid Free" mean for Paper Mod Podge? Acid free Mod Podge is a durable glue that helps protect your papers and pictures from yellowing and looking old. My Mod Podge surface is still sticky after it dries. What do I do? Hard Coat Mod Podge dries clear with a non-tacky surface. If using Gloss, Matte or Satin Mod Podge apply a clear acrylic sealer to the surface after it has cured 4 weeks. Is regular Mod Podge available in different types of sheens? Yes, it is available in gloss, satin and matte. Can I burn candles I have decorated with florals, decoupage, etc.? Decorated candles using Mod Podge ® or Royal Coat ® Decoupage Finish are meant for decorative purposes and not for illumination. Many of the decorations would catch fire and be hazardous if the candle were burned. However, if you are using a wide pillar candle and the decorations do not go to the top of the candle, it can be burned down slightly to create a well, then a votive candle inserted into the well. A new votive candle can be inserted when the old one is finished. Use extreme caution and good judgment when burning candles that have been decorated. How can I get an antiqued decoupage look? Royal Coat ® Antique Decoupage Finish adds a mellow, antique look to decoupaged surfaces. Use it to apply cutouts to your surface and then brush on two light coats over the entire surface. Each coat will slightly deepen the color of the finished piece and create an aged patina. To get the exact degree of antiquing you desire apply FolkArt ® Antiquing Medium to the entire project after Royal Coat ® Decoupage Finish is dry. Apply Antiquing Medium with a brush or soft sponge. Wipe off as much or as little as you wish with a soft cloth or paper towel for the desired effect. Allow to dry. Then apply two final coats of Royal Coat. How do you decoupage a glass plate? To decoupage the back of a clear plate, you must use a technique called reverse decoupage. This involves applying the prints to the back of the plate so that the design shows through. Cut out design. Apply Royal Coat Decoupage Finish to the front of the print. Press the print face down on the back of the clear plate. Smooth with your fingers, then use a damp paper towel to remove excess Decoupage Finish from the glass. What are some tips for cutting out detailed designs for use in a decoupage project? Use small sharp scissors or a craft knife to trim papers, such as embroidery or cuticle scissors. A craft knife is handy to cut details from the inside of a design. Using a cutting mat to protect your work surface, cut out the inside of a print before cutting around the outside. Then trim off excess around the design. It is not necessary to follow every detail of a design. To achieve an irregular, textured edge, tear the paper by pulling toward you in an upward motion. To achieve an antique or rustic look, use a match or candle flame to light the edge of your paper. Just as the print begins to burn, carefully blow out the flame on the paper. Continue burning a small areas at a time until the entire edge has been burned. Remove excess charred paper by scraping the edge of the paper with the side of the scissors, leaving a brown edge. When creating a decoupage project, how do I glue my designs to my surface? Lightly coat the back of the print with Royal Coat or Mod Podge, using a sponge brush or flat brush. Place the print in the desired position. To work out all the air bubbles and excess glue from under the print, press lightly with your fingertips, working from the center outward. Be sure that the edges have adhered well. The squeegee and brayer in Mod Podge Professional Toolset are also helpful. Wait a few minutes for the glue to set before gently dabbing around the edge with a damp sponge or paper towel. When layering designs, allow the first layer to dry completely before applying the second layer. Apply the second layer in the same manner. Allow the project to dry completely before proceeding. What is the best way for decoupaging curved surfaces and corners? To apply a flat print to a curved surface, cut slits in the paper wherever it will buckle. Let the paper on each side of the slits overlap as you carefully conform the print to the curved surface. Before applying glue, fold the print around the corners of the project surface as you would wrap a package, creasing along the edges to mark them on the print. Rather than overlapping the paper as if wrapping a package, cut away excess paper. The new edges of the paper will meet at the corner. After gluing my prints to the surface, how many layers of Royal Coat do I need to apply on top of the finished design to complete my project? Using a flat brush or sponge brush, apply Royal Coat Decoupage Finish to your entire project, including the top layers, once you have glued your design in place. Allow 20 minutes for the first coat to dry; then apply a second coat. Two coats are sufficient to protect the print, but more may be applied if desired. Your project is finished and usable at this point. If you desire a more traditional decoupage look, however, apply a total of six coats of Royal Coat Decoupage Finish. How can I achieve the smooth satin look of traditional decoupage? Wet #400 sandpaper with water and a drop of dish soap and sand the finish lightly until flat and smooth. Wipe dry. Polish the project with #0000 steel wool. For an even glossier finish, dip the steel wool into a liquid paste of linseed oil and pumice. Gently polish the surface until smooth. How can I achieve a high shine finish on my decoupage project? If you would like to achieve a high shine finish, complete your decoupage project in the traditional way, applying two top coats of decoupage finish to the completed design. Wait one week for the finish to cure, then spray the project with Mod Podge Acrylic Spray Gloss Sealer. What type of glue and sealer should I use on my Altered Art project? We recommend Mod Podge Paper, which is an acid free glue and finish in one. Once cured it provides a very sturdy finish for your project. For additional effects, use FolkArt Mediums which come in Antique and Crackle -- each will provide a durable and attractive finish for your project that is sure to last. What is the coverage area for Mod Podge? Refer to the chart below for the coverage area of Mod Podge.